This next FO may not look super exciting, but I was happy to make something for my husband that he will definitely wear. This is the Sage Tee by Elbe Textiles. It's a free pattern for a men's basic set-in sleeve t-shirt. Now I do have some things to say about the pattern. It's free, which is nice, and I don't know if they've updated it since I downloaded it, but the version I used definitely has errors. 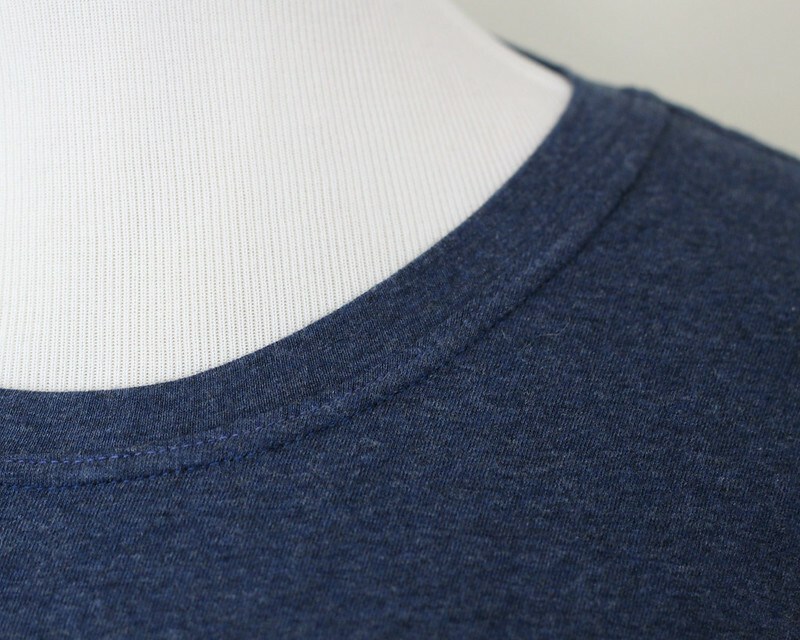 It's a crew neck tee, but only 1 size has the front neckline curve finished. All of the other sizes have a straight line from the shoulder to the CF fold. Fortunately the size I used had the correct curve, but be aware that if you make one of the other sizes you may need to draw in the neckline curve yourself. Also I would say that the drafting was a little choppy in spots, like angles instead of smooth curves. I used my hip curve/french curve to smooth the lines but again, it's just something to be aware of. The other potential issue is with the sizing. My husband is quite skinny but he likes his clothes fairly oversized. I didn't know which size to choose at first but I ended up measuring a tee from his closet. This tee happened to match the size XS on the pattern almost exactly, so that's the size I made. He is super happy with the fit. However, the RTW tee I measured was a Medium and that's the size he normally buys. So I would say the pattern tends to run large. You may want to do what I did and compare the measurements with an already existing tee before you choose a size. I can't testify to the quality of the instructions because I didn't look at them. I've made enough t-shirts and sweatshirts now that I just go with my normal construction order unless there are special design elements. It's a free pattern, so I'm happy with what I ended up with, but definitely keep the above things in mind if you want to make this tee. 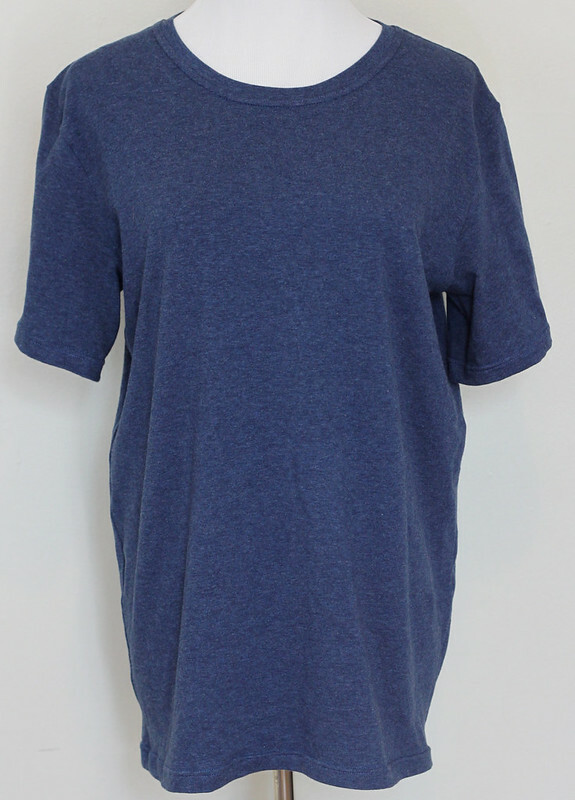 I have another of their free patterns, the Carine tee. I haven't sewn it up yet but I will report back on my experience when I do. I am definitely keeping this pattern for later use, as everyone needs a basic t-shirt in their wardrobe arsenal. I actually have purchased 2 other men's tee patterns and I hope to eventually do a comparison post when I've made all 3. The fabric I used was cotton jersey in a lovely blueberry shade from Style Maker Fabrics. I was so happy with the fabric. It's the exact weight you'd expect for a men's tee and it's also very soft. I assembled it with a 3-thread overlock using normal serger thread and used woolly nylon for the coverstitch looper. I had some tension issues and had to rip out the bottom hem a few times (this is kind of becoming the norm for me) but I eventually figured it out and I'm happy with the construction. 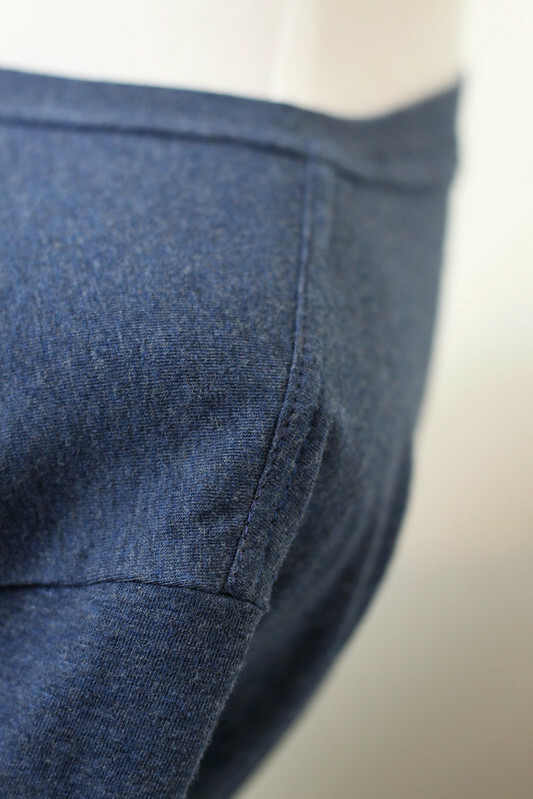 One touch that I added was that I coverstitched the shoulder seams after reinforcing them with twill tape. I've seen this detail on RTW t-shirts and I thought it added a nice professional touch.